Click here to see an awesome collection of Valentine animal crafts! 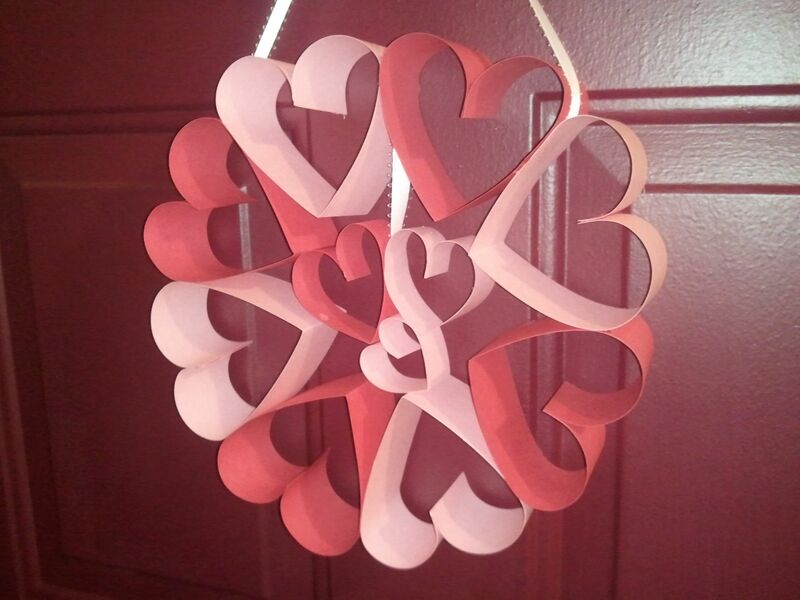 Make a 3D heart wreath using strips of construction paper and ribbon (source). This entry was posted in Art/Crafts, Holidays/Seasons, Valentine's Day and tagged Art/Crafts, Children, Classroom Party, Education, Elementary School, Homeschool, Teacher Resources, Teachers, Teaching, Valentine's Day by Squarehead Teachers. Bookmark the permalink.